In order for you know where your assets are and how your assets are working, you need to be able to talk to them. As a pioneer in Machine-to-Machine (M2M) communication and a provider of complete Internet of Things (IoT) solutions, ORBCOMM delivers everything you need for complete asset awareness, even in the most remote locations. Our services are used and trusted by companies such as Caterpillar, Doosan, Hitachi, Hyundai, John Deere, Kobelco, Komatsu, LBX, Manitowoc, Sumitomo, Terex, Volvo, and more. For the remote or difficult to reach areas, ORBCOMM offers connectivity options of three satellite services – Inmarsat, Globalstar and our proprietary ORBCOMM network. With compatible modem hardware – same footprint, same interface, same power – a VAR or system integrator can provide interchangeable satellite connectivity easily and at no incremental development cost on the same hardware platform, bringing product flexibility over geographies, data and service requirements. This is a design philosophy taken within ORBCOMM’s own separate hardware telematics product line. All ORBCOMM modems have upgradeable firmware and satisfy all requirements for global M2M and IoT installations. The recently released OG2 modem was designed to deliver new data capabilities on ORBCOMM’s recently completed 2nd generation M2M- and IoT-exclusive satellite constellation. These satellite modems can also offer network redundancy in a dual-mode configuration, should anything happen to the local terrestrial cellular infrastructure due to capacity loading or environmental factors. Where cellular networks are an option, ORBCOMM can also provide asset IoT connectivity through our seven Tier-1 partner networks, including AT&T, Verizon, Vodafone, T-Mobile, Telefonica, Rogers and Orange, fulfilling all regional, national, international coverage requirements. Unlike offerings from other companies, this diverse range of connectivity options are centrally managed through a single subscriber management platform — ORBCOMM’s award winning ORBCOMMconnect. 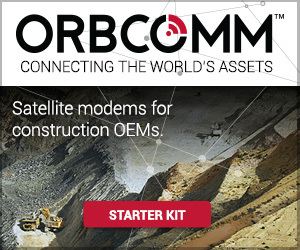 Whether you need IoT SIM cards and cellular connectivity or satellite connectivity from any of our networks, ORBCOMM makes management of your subscribers easy.